Piano & Moving Large Specialty Items! 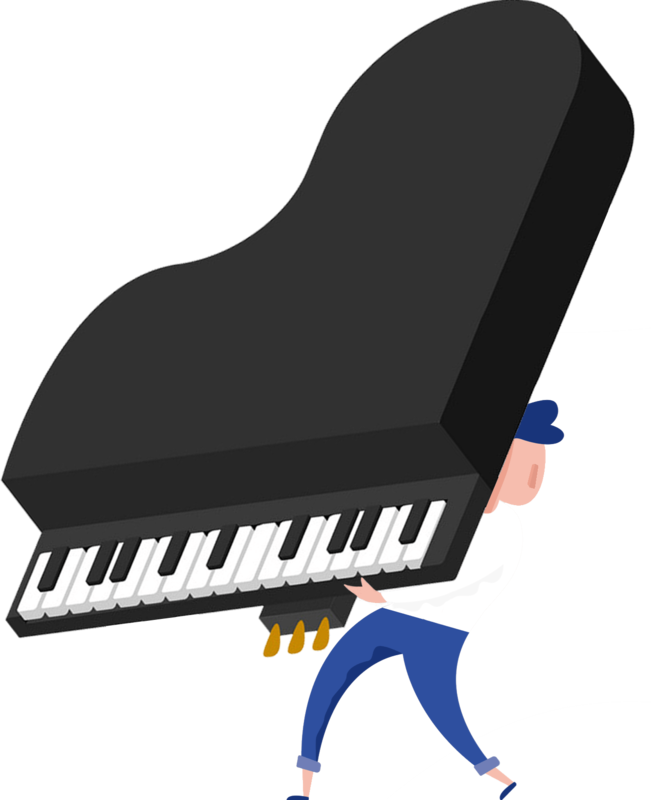 Have you ever tried to move a piano down a flight of stairs? Have you ever tried to move a piano down a flight of stairs? What about that hot tub that sits in the backyard? Specialty items like these can be nearly impossible to transport. Luckily, Dearman Moving & Storage has solutions for large items. If you need to move a large piece such as a piano, hot tub, safe, large refrigerator or another item that’s awkwardly massive, we would be glad to give you a flat price for these services. We have the experience, equipment and training to handle these pieces safely and efficiently for you. Our crews have experience with these items in the most difficult of moving conditions and places. For example, moving a dresser out of a small farmhouse window was the only way to get it out of the room. Although this may look dangerous, we can assure you that keeping our crew and the item they’re moving safe are always the top priorities!